If you are from Italy and want to learn how to play Texas Holdem click here and find all poker rules and strategies. The Italian Piacentine pattern has Italo-Spanish suit symbols and slightly narrow, elongated cards. It was made in single-ended format until around the mid-20th century after which time double-ended versions are more usual. When this happens some features of the old cards are lost. The Ace of Coins used to bear the tax stamp, and shows a single-headed, crowned eagle (as opposed to the Neapolitan double-headed eagle). 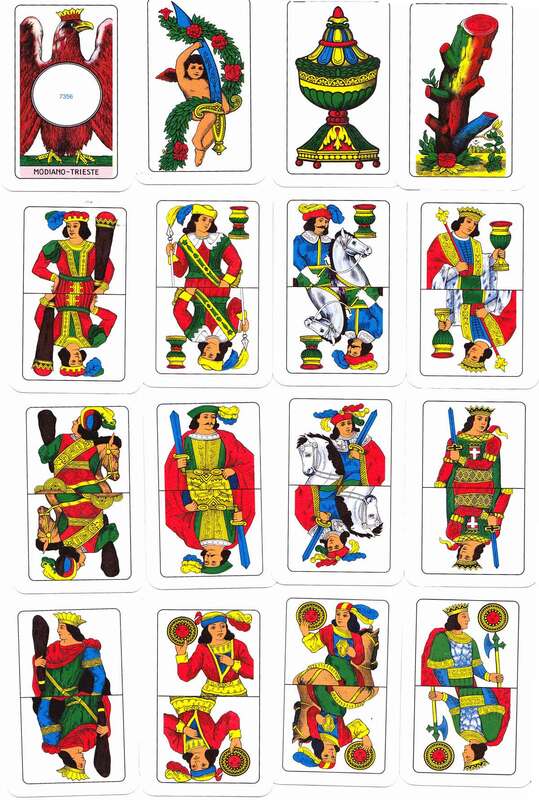 Cards of Spanish design occur in those parts of Italy formerly under Spanish influence (Neapolitan, Piacentine, Romagnole, Sardinian and Sicilian patterns) although the pintas or line-breaks in the outer frames have been lost. 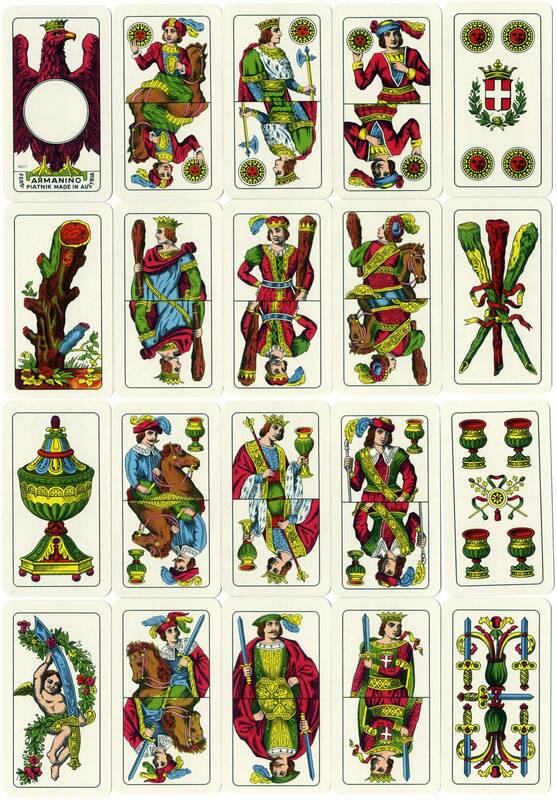 Early examples of the Piacentine pattern also have features related to French Aluette cards. Above: double-ended example of Piacentine pattern made by Modiano, Trieste. The King of Coins holds an axe and the Cavalier of Coins rides a horse with its back facing the viewer, features which were seen in some archaic, late-medieval Spanish-suited patterns see example →. Images kindly supplied by Anthony Lee.